Defeat the Goblin army! 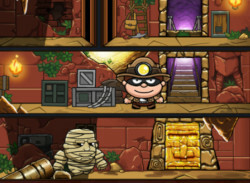 Hire miners to collect gold, train warriors and invest in upgrades and magic. Use you MOUSE for all.